In an effort to delay the frailty and isolation that comes with old age, psychiatrist Millard Salter decides to kill himself by the end of the day-but first he has to tie up some loose ends. These include a tête-à-tête with his youngest son, Lysander, who at forty-three has yet to hold down a paying job; an unscheduled rendezvous with his first wife, Carol, whom he hasn't seen in twenty-seven years; and a brief visit to the grave of his second wife, Isabelle. Complicating this plan though is Delilah, the widow with whom he has fallen in love in the past few months. 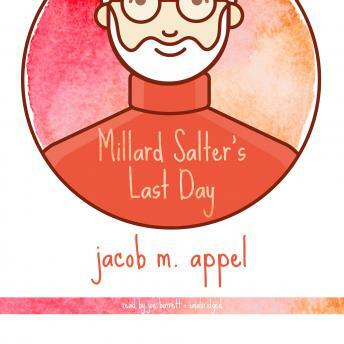 As Millard begins to wrap up his life, he confronts a lifetime of challenges during a single day-and discovers that his family has a big surprise for him as well.